Prospect Kids Academy is a nurturing and safe environment. Your child will feel respected, loved and secure at PKA. This environment we provide will allow social and emotional growth. Our aim is to develop a love of learning and to elicit a desire for discovery. Our forward thinking curriculum builds from the interests of the child. The teachers at PKA will be facilitators, nurturers and partners in your child's learning process. The children’s questions and their answers are explored together. Learning becomes a collaborative process as we seek to balance teacher direction and children’s freedom of choice. We will use open-ended materials at PKA that can become magical and full of imagination in the hands of a child. PKA is a director/teacher-owned preschool. Our directors are experienced classroom teachers and mothers of young children. Prospect Kids Academy is N.Y. State Certified. All staff members are CPR, MAT and First Aid Certified. Prospect Kids Academy has locations in Park Slope and Prospect Heights, Brooklyn for preschoolers ages 2-6. "THE WAY KIDS LEARN TO MAKE GOOD DECISIONS IS BY MAKING DECISIONS, NOT BY FOLLOWING DIRECTIONS"
What are children interested in? What do they want to know? These questions will give us the information we need to create a meaningful learning experience for each child and the children collectively. Here at PKA our children determine the topic of their work. Through careful conversation, we decide what we will learn about and where we want to go as a group. Lessons should be open, not forced; centered on the child, not handed down by the teacher. Children who know they are heard feel respected and get the message that they are capable and become engaged and excited about learning. Each child is part of a relationship with other children, the teachers and the environment. The environment is another teacher in the classroom and is key to our educational method, stimulating and inspiring the children. Students at PKA do not work alone. At the same time, each child learns at his or her own pace. Children are not urged to hurry nor necessarily complete a project. We wait for the next question and start the process again. As the year progresses, each child becomes the creator in his or her learning adventure. 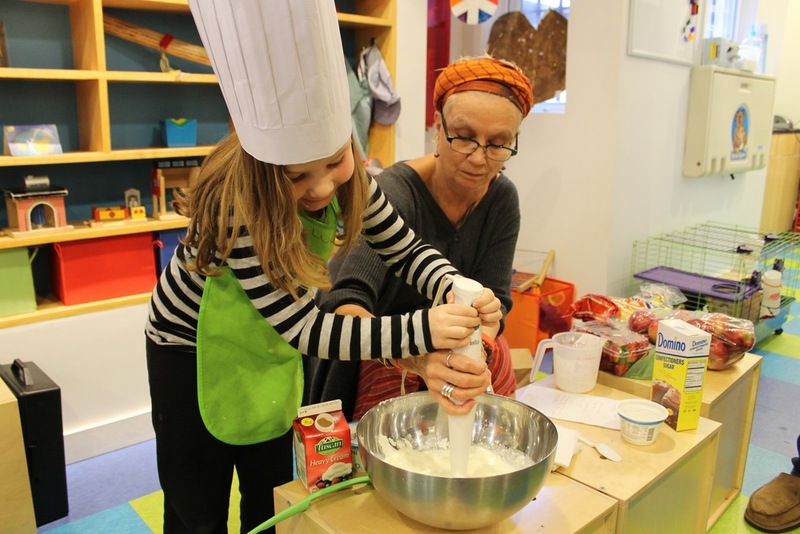 The philosophy at PKA has been strongly influenced by both Reggio Emilia and Montessori methods. Contact us to learn more about Prospect Kids Academy. "THE GREATEST GIFTS WE CAN GIVE OUR CHILDREN ARE THE ROOTS OF RESPONSIBILITY AND THe WINGS OF INDEPENDENCE"
Our music teacher, Brian Ajjan brings his passion for music to PKA once a week. We believe music is an important part of learning, teaching us to focus on rhythm, beats and movement. Everyone has a great time discovering all genres of music from Classic songs to Rock & Roll and Hip Hop. Don’t be surprised if your child taps his or her feet and sings one of your favorite songs. In partnership with SoulShine, we offer yoga to our students weekly. Our yoga program teaches yoga in a fun and relaxing way. Kind, friendly and knowledgeable instructors will visit each classroom. Our focus is bringing joy, compassion, and mindfulness of the practice of yoga. During the year PKA will go on a lot of fun field trips to places such as: The Museum of Natural History, Manhattan Children's Theatre, Children’s Museum of Art, Museum of Modern Art, Mo Math, Decker Farm, The Robot Foundry, The Brooklyn Children’s Museum, The Brooklyn Museum of Art, Brooklyn Botanic Gardens and The Brooklyn Public Library. Our goal is to bring the culture around us into the classroom to enrich the curriculum. The afternoons at PKA are filled with adventures and exploration. Together we journey through books, stories and neighborhood visits to different countries to learn about their customs and way of life. The students learn to understand and appreciate the differences and similarities of all people. We love to visit the Green Market and local groceries in search of ingredients for our Farm to Table Cooking Program, exploring whats goes into the children's bodies from the farm to the kitchen table. We will learn hands on about where food comes from, about healthy foods, and slow food cooking. We want to become aware of participating in a green environment. In case of an emergency or if you need some extra time to yourself as a busy parent, PKA understands. Depending on our schedule for that day, we will allow you to drop off or extend your child’s day for $20 per hour. Parents must call PKA on the day they will need the extra care to check for availability. Rise and shine, early birds and get a jumpstart on your day. PKA offers early drop off at 8:00am and 8:30am. Spaces are limited and fill up quickly. Contact us for more information. 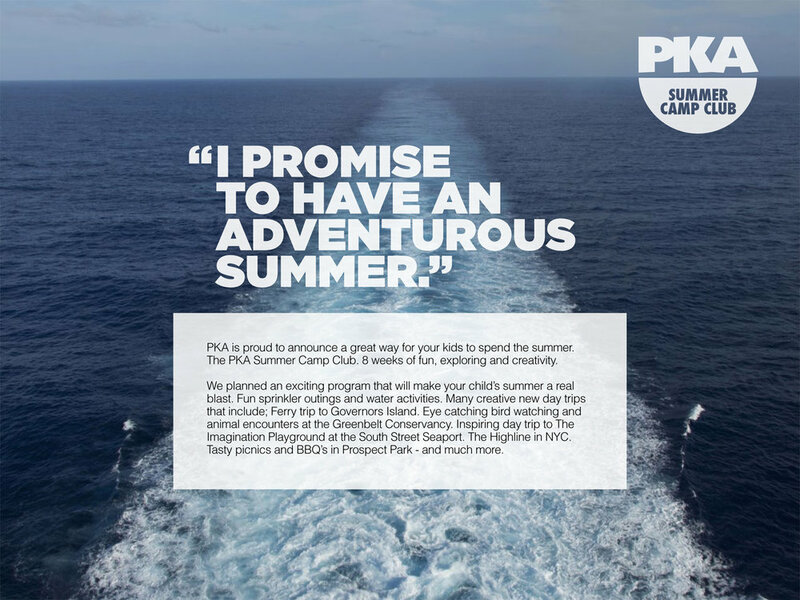 PKA is proud to announce a great way for your kids to spend the summer. The PKA Summer Camp Club: 8 weeks of fun, exploring and creativity. Busy PKA Summer Camp Club Members will be out exploring on a daily basis, discovering the wonders of NYC. We plan an exciting program that will make your child’s summer a real blast. Fun sprinkler outings and water activities. Many creative day trips that include, a ferry trip to Governors Island, eye catching bird watching and animal encounters at the Greenbelt Conservancy, inspiring day trip to The Imagination Playground at the South Street Seaport, a walk on The Highline in NYC, tasty picnics and BBQs in Prospect Park - and much more. Below is a link to view the 2019 summer camp brochure and calendar. To learn more about the PKA Summer Camp Club and the enrollment process contact us. 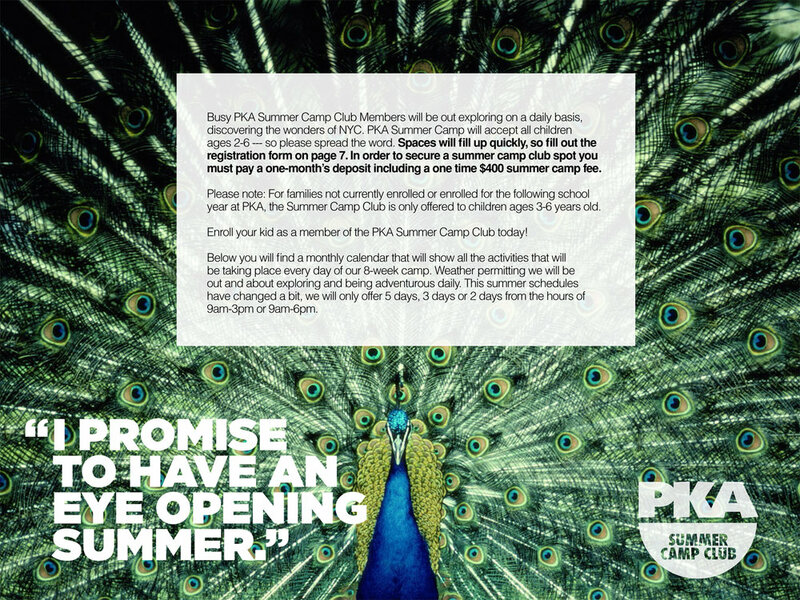 Become a PKA Summer Camp Club Member today! "The child becomes a person through work"
PKA follows the public school weather-closing schedule. Please call 311 for school closings. "Every student can learn, just not on the same day, or the same way"
While preschool is a necessary investment in your child’s future, the fees can be somewhat daunting, especially in these tough financial times. That’s why at PKA we pride ourselves in our low competitive rates--sometimes as much as 10 to 15% lower than a comparable preschool. When we are forced to change our rates due to increased fuel costs or teacher benefits, we make the increase as small as possible. When it comes to our students and your children, we spare no expense even if it affects our bottom line. If you have any questions about our fees, please contact us. Please note that fees are non-refundable and non-transferable. "The child should live in the environment of beauty"
Our flagship school is located in historic Park Slope, an active kid-friendly community. 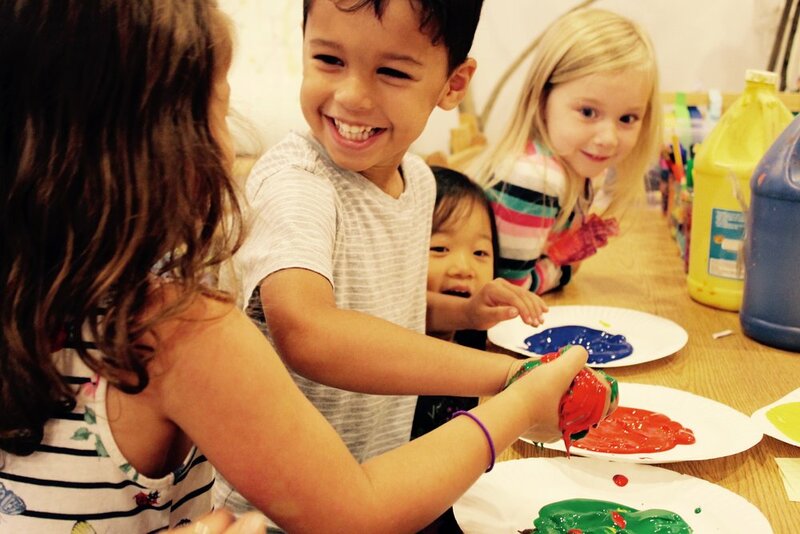 PKA's newly renovated facility is designed with your talented 2-to-5 year old in mind, featuring well-lit colorful classrooms and custom wood cabinetry, creating a cozy well thought out environment. Join us as we learn about the importance of eating healthily in our Farm-to-Table program. Prospect Park is just a hop, skip and a jump away and we are close to Slope Park on 18th street and 6th avenue and other local playgrounds. Our school is just two blocks from the F train at 15th Street and the N train at Prospect Avenue with ample parking spaces. Contact us today to set up a tour to experience the loving atmosphere of PKA. Located in historic Prospect Heights, an active, kid-friendly community. Expose your children to all of the culture Brooklyn has to offer: the Brooklyn Museum of Art, educational walks through the Brooklyn Botanic Gardens and Prospect Park, hands on learning at the Brooklyn Children's Museum, and story time at the central branch of the Brooklyn Public Library. Close to the Underhill jungle gym playground and the Mt. Prospect Park playground. Our preschool space offers spacious, well lit and colorful classrooms, designed with your curious 2-5 year old in mind. PKA is located two blocks from the 2, 3, 4 and 5 subway stations. The b45 bus stops just feet from the school. We are proud of our schools and invite you to come visit us. "THE ENVIRONMENT MUST BE RICH IN MOTIVES"
AVAILABLE SPACES WILL NOT LAST LONG. CONTACT US NOW TO RECEIVE INFORMATION ABOUT TOURS AND THE REGISTRATION PROCESS. LET US KNOW HOW WE CAN HELP YOUR FAMILY. Thank you for showing interest in the programs available at Prospect Kids Academy. Your contact form has been forwarded to admissions. PKA is a hidden gem. We could not have chosen a better preschool for our daughter who was there for 3 years. We always felt she was in good hands leaving her there which was comforting, and most importantly, the teachers gave her a foundation for being a good human being. They nurtured her as an individual and also exerted strong influence in teaching her to be a part of a community. Their approach was holistic. An example is shopping at the farmer’s market, then preparing a meal with their purchases, and bringing them to share with their families at the year end potluck. Or initiating a “stoop” sale to raise money for children affected by the earthquake in Nepal. They collected belongings from their families, hung signs to advertise, ran the sale, counted their money, took it to the bank, and sent off a donation check! All on their own accord. As our daughter grew older, she was given appropriate leadership opportunities which really fostered her confidence. There’s no better testament to how happy our daughter was at PKA than how difficult it was to extract her at the end of the day! As she’s now begun kindergarten, she could not be more prepared—not just in terms of learning but in terms of emotional intelligence. 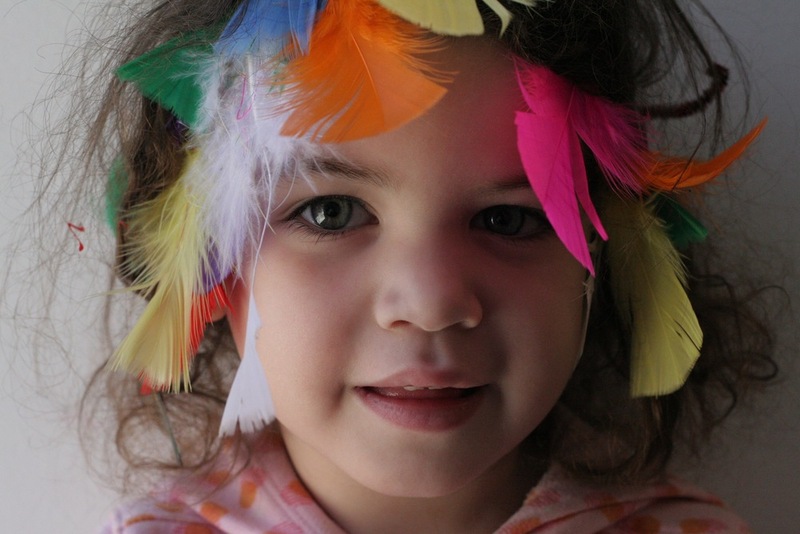 As a parent and educator, it was really important for us to find the right environment for our daughter -- in PKA, we found a school that recognizes, embraces, and celebrates each child's individual identity, emerging intentions, curiosity. We are completely satisfied with the education and experience that our daughter is receiving at PKA. Sharon has been absolutely wonderful to Esmé and our family. I can’t imagine a better preschool experience for her or for us. Our daughter walks around with astonishing self confidence, interest, curiosity, stamina, and self possession. She is much more engaged in her life at home, in the natural environment, and social situations. We are sad that she cannot continue, but know that, because of PKA, she is all the more ready for preK. As working parents, we initially sought out a safe, nurturing, happy place for our daughter. We found that and so much more at PKA, where all kids are truly allowed to be themselves. Individuality is celebrated. Three years later, we're confident that the bright, spunky kid we now walk to elementary school blossomed because of PKA and its community. I could not feel more fortunate to have found the most incredible preschool for my 3 daughters. From 2008 through 2015, PKA was a huge part of my family’s life. My oldest daughter started school at PKA when she was 2 and from the moment I walked through the door (on my tour), I just knew I had found someplace that was truly magical. Her two sisters followed in her path, and were all lucky enough to spend their preschool years at PKA, surrounded by the most loving, warm, insightful, creative and caring teachers. People often comment on how different my 3 girls are in personality, and I truly attribute this to an amazing preschool where children are always encouraged to be themselves, make their own choices about everything and are free to grow and thrive as individuals. Through play, they learned all of the academic essentials that they needed to know when it was time to move on. Most importantly, at PKA my girls learned the gift of kindness, friendship, and to always feel confident and proud of whom they are...and I have seen for myself that this gift has stayed with them. I am forever grateful. PKA is amazing. What a gift to not only not have to worry at all when I drop off my child at school, but also to have two truly dedicated, talented highly trained gifted preschool teachers teaching my child and most importantly truly loving and caring for my child. My daughter had a great time. The structure of the school day was the best part. It was exactly what she needed. My daughter had two other preschool experiences prior to PKA. The first one, her first year was okay, but not structured enough and the teachers were obviously not trained. Most parents there had their children in new schools the following year. The second private preschool was a disaster. We were there for a month and then we pulled our daughter out and then we had the luck of getting into PKA. It was a dream. We loved it and we can not thank the school enough. Tzippy came home with new yoga moves that she learned from her yoga teacher, Shavon, singing songs she learned from her music teacher, Brian, and quoting her teachers. My daughter began the ambitious project of continually teaching me about what is and is not earth-wise, what is and is not healthy, and pointing out all the letters she can now recognize on the streets and in the apartment and they potty trained her! Her teachers provided Tzippy with copious amounts of art lessons. Tzippy came home talking about Souza and Pollack. The administration was kind and professional and the field trips were fantastic. I can not recommend PKA highly enough. 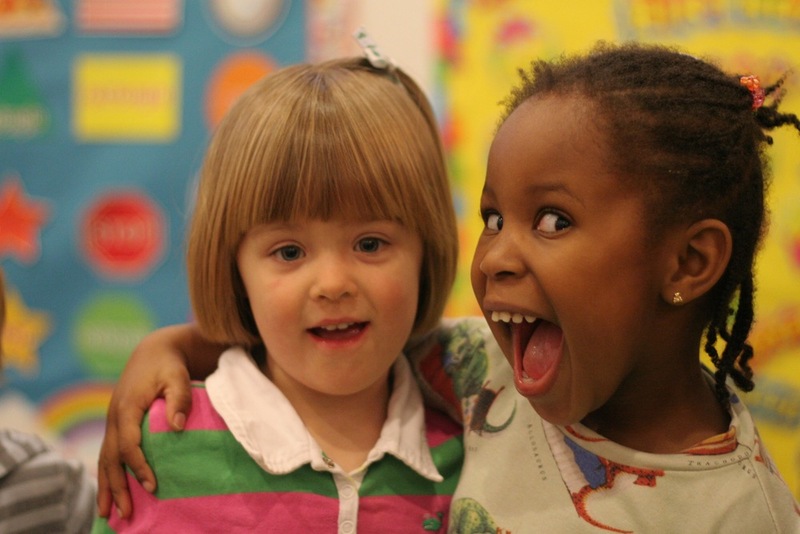 PKA is a nurturing community dedicated to the social, emotional and intellectual development of the child as a whole. From the moment we walked in the door, both my daughter and I felt welcome and safe. The school was immaculate and organized while simultaneously exuding a sense a serenity and focus on the children with a well-developed, age- appropriate curriculum. This is our daughter’s second year and in both classes, the educators have been wonderfully caring and have excellent knowledge of the developmental spectrum of their respective age groups. Their focus on discovery and the exploration of community and the larger world is so inspiring; every day my daughter comes home with something amazing to share. The establishment regularly utilizes a wide variety of community resources to further the collective experience. I simply cannot recommend PKA highly enough to those in search of the perfect environment for their child! We are lucky to live in a community that supports family well being. PKA is diverse, educated and is interested in shaping the best experiences for our children. We love PKA! My daughter has been attending PKA since she was 2 years old in their full-day program. She started in the Littles class among a wonderful little community. I love that in the morning, the Littles (2's) and Bigs (3's 4's) are separated for their individual learning but then together in the afternoon. I love that PKA has a curriculum and that they "travel the world" with handmade passports. I love that they make a lot of art. My favorites so far have been the 10 foot Pollock-esq splatter painting, the planets mobile and the rocket-ship hat. Free play is important too and PKA has been able to provide a good balance between free play and structured learning. I love that they take afternoon walks around the neighborhood and talk about what they see. I love that they have tiny toilets and sinks that are just their size. I love that the classroom walls are blank at the beginning of the year and filled with the kids artwork and energy by the end of the year. I love that they talk about fire safety and how to safely cross the street. I love that the teachers can improvise and provide new plans as necessary. I love that the kids go on field trips and experience the outside world with their classmates. I love that the kids spend time at the Botanic Gardens and the Brooklyn Museum. I love the pot-luck gatherings where the families and staff from both locations get to hang out and get to know each other. What I love the most are the staff and teachers who form amazing and unique bonds with each of the children. I love how present the teachers are and how seriously they take the care of our kids. They always answer any question or concern with a kind heart and helpful nature. PKA is a wonderful place for your toddler to just be. Where they can be who they are and celebrated for it.